Yep, on January 12, 2014, I joined the 1 percent who will ever finish a full marathon. 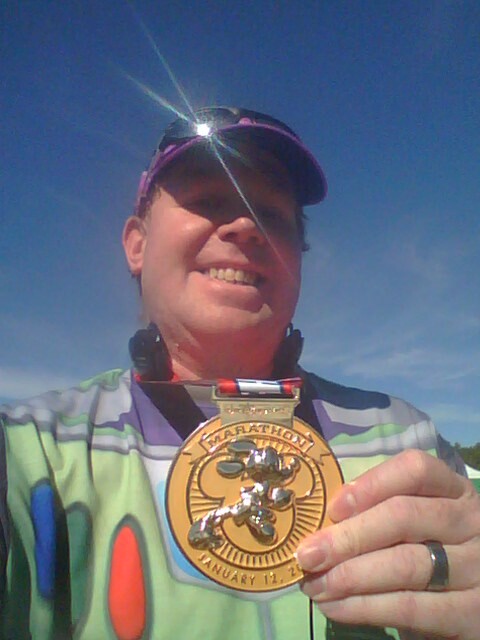 On this day, I became a proud marathon finisher at the Walt Disney World Marathon. You can read the recaps here and here. It was a day I don’t think I’ll forget for some time. Even as I remember that day, I still can’t believe how well it all went! All the hard training lead to a glorious finish! No one will ever be able to take that moment away from me! On the low side was the OC Half Marathon. While I would eventually finish about 30 seconds slower at the Disneyland Half Marathon, this was my slowest half marathon to that point. In all the races I’ve finished, this was the one that was the hardest. 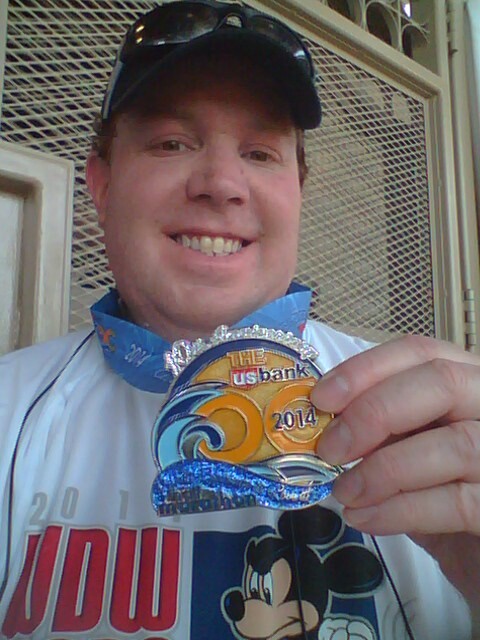 By mile 8 I was done and felt so defeated. I kept going and eventually finished. However, it was a low point in my running for the year. You can read that race recap here. 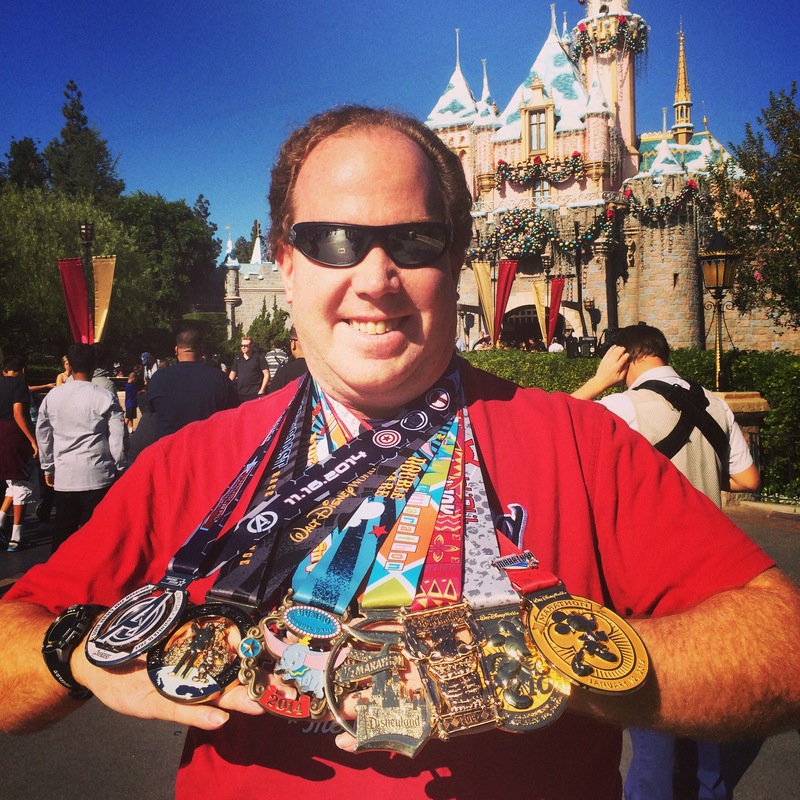 That’s just the runDisney races. 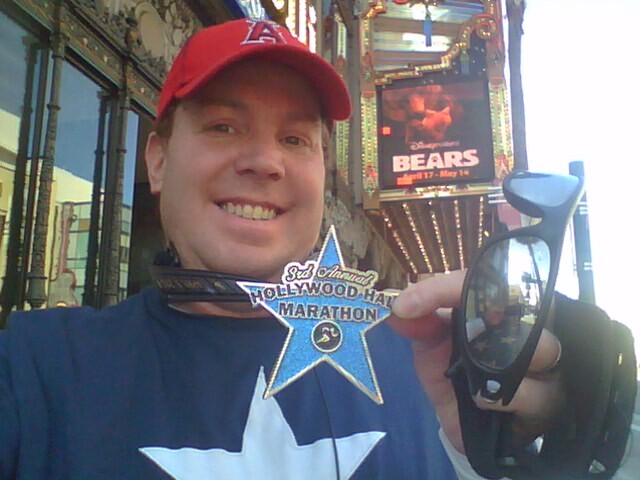 I also finished the Hollywood Half Marathon…. 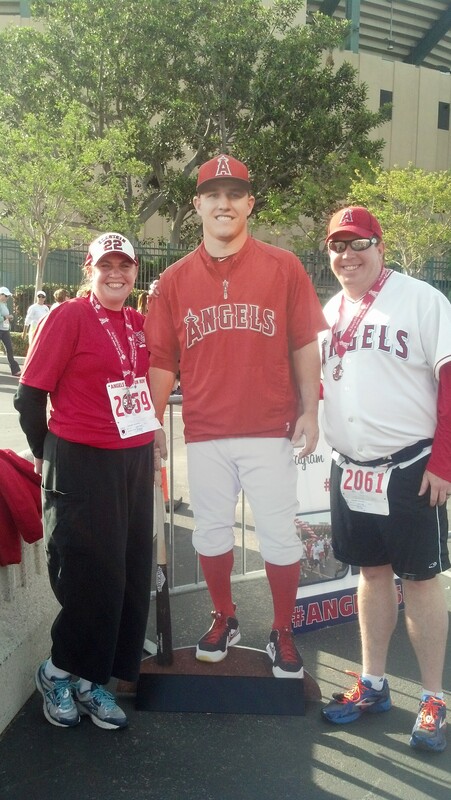 With the races and training runs, I’ve logged 580.05 miles. 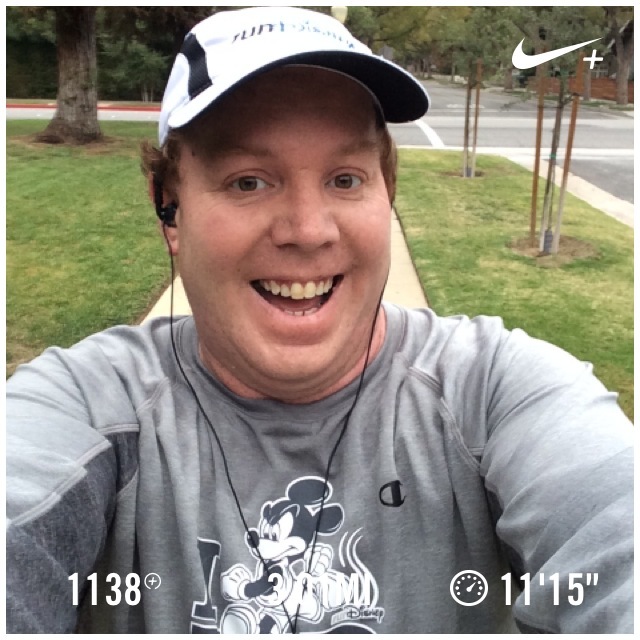 2014 Dumbo Double Dare and Disneyland Half Marathon Training Begins Today! 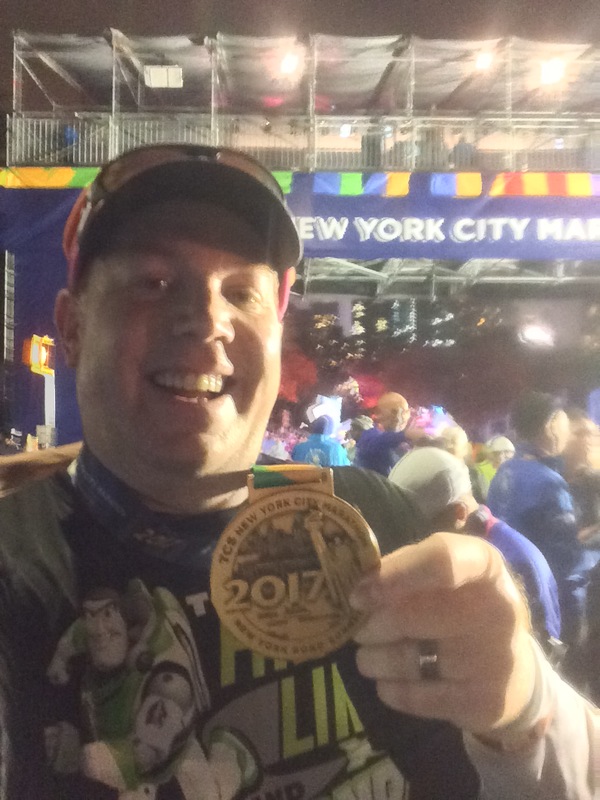 Star Wars Half Marathon Pre Registration and National Runners Day Tomorrow! 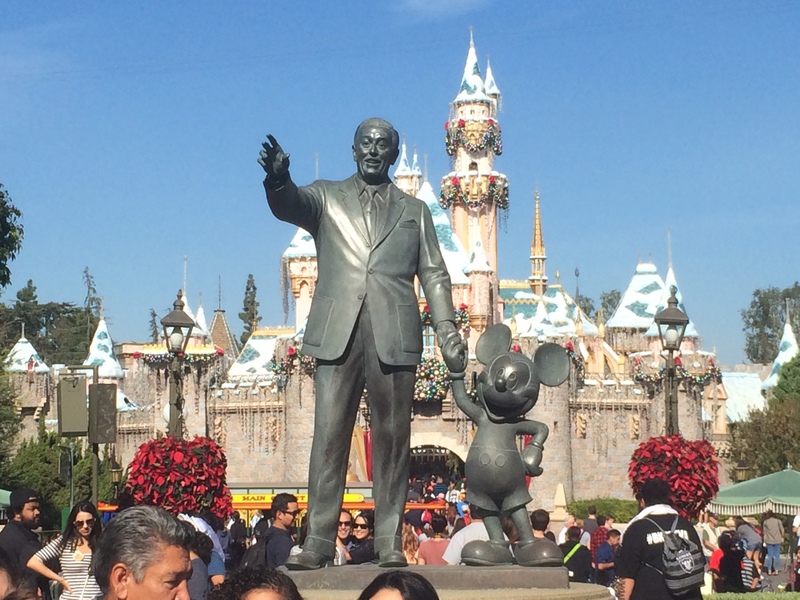 My favorite new addition to the blog are the Virtual Disney Trips. These started with a time in life where I was very stressed out. A friend suggested that I needed a day at Disneyland. Since that wasn’t possible at the moment, I took to You Tube and a new idea sprung to life. To see all the Virtual Disney Trips, click on the tab above, or click here. Each week, these posts take some time to finish. 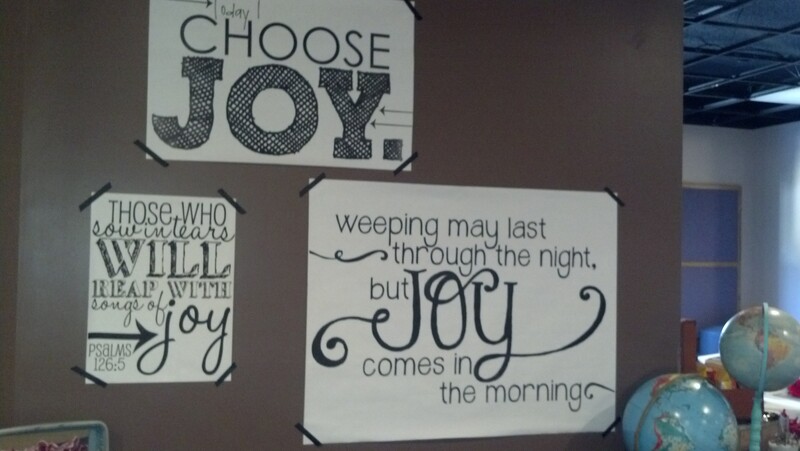 However, they are a complete labor of love. 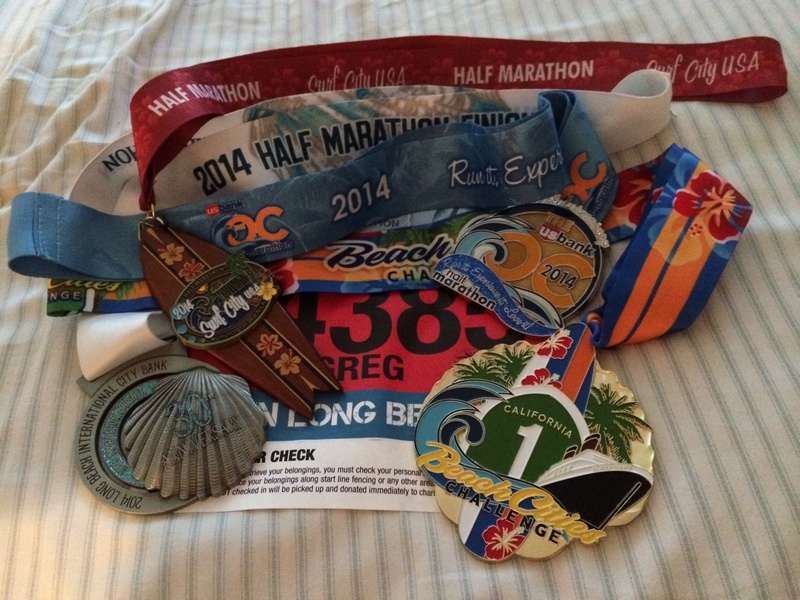 Outside of running, there some pretty cool things that happened this year. 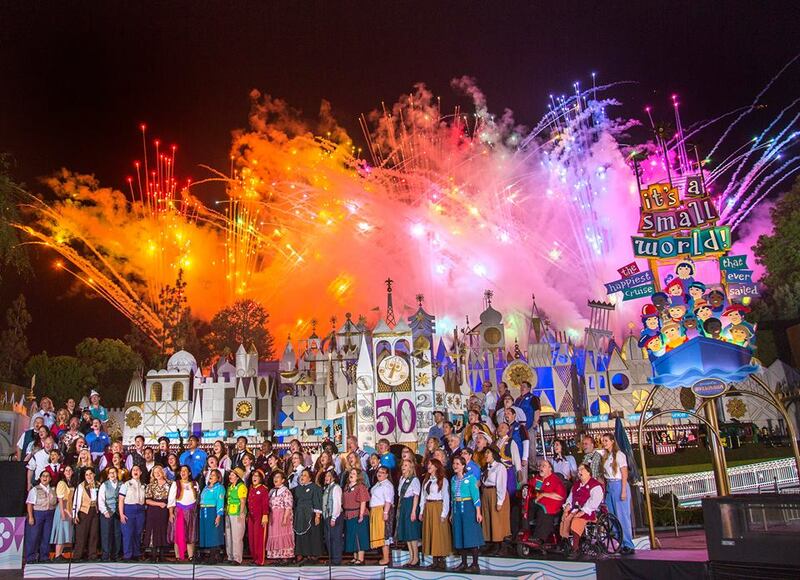 The coolest experience for me was getting to sing on Good Morning America with the Disney Employee Choir for the 50th Anniversary of It’s A Small World! I was up earlier than a runDisney race and it was totally worth it! So much fun! 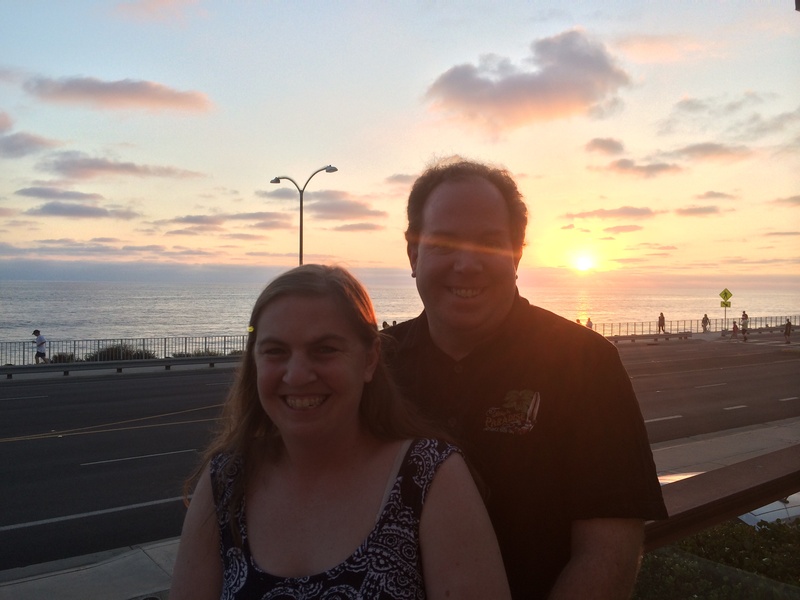 On August 8th, Brooke and I celebrated our 5 Year wedding anniversary with a weekend get away trip to Carlsbad Beach. Carlsbad has quickly become one of our favorite get away spots. So, staying at a hotel right across the street from the beach was wonderful. 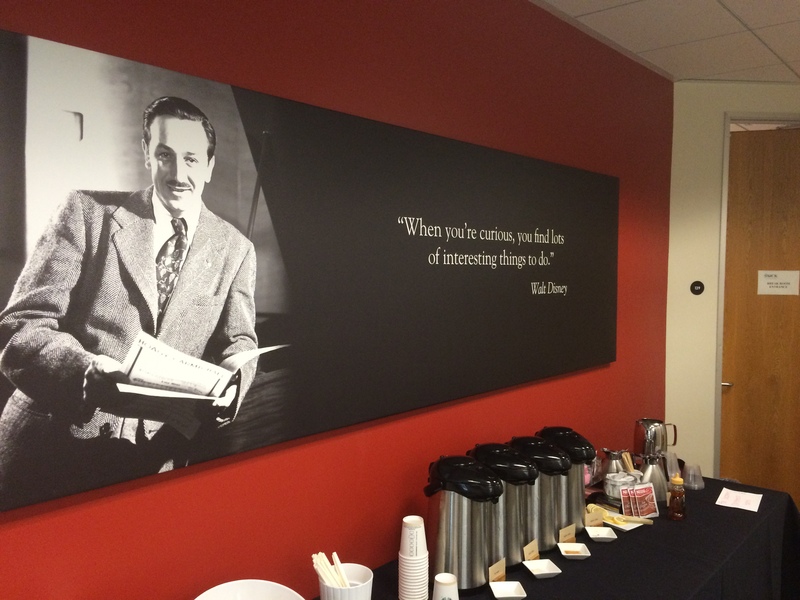 On August 4th, I took a leap of faith and said “yes” to moving from the Corporate Legal Rights Administration Secretary to the Corporate Legal Copyright Secretary at the Walt Disney Company. That move has forever altered my life. I’m still trying to figure out some things away from work. However, my work life went from a job with a lot of down time to a job with no down time. So, my blogging habits had to change and so did my exercising. 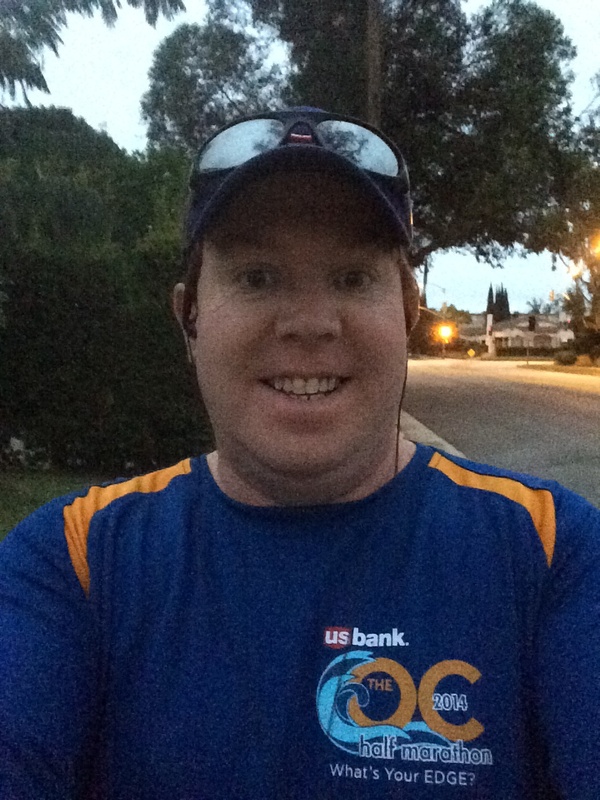 I switched from being a mostly night-time runner to a morning runner out of necessity. So, now, I wake up early and hit the streets. The other cool thing that this job switch lead to was a promotion! On November 17th, I started working as the Copyright Coordinator! I love my new job! 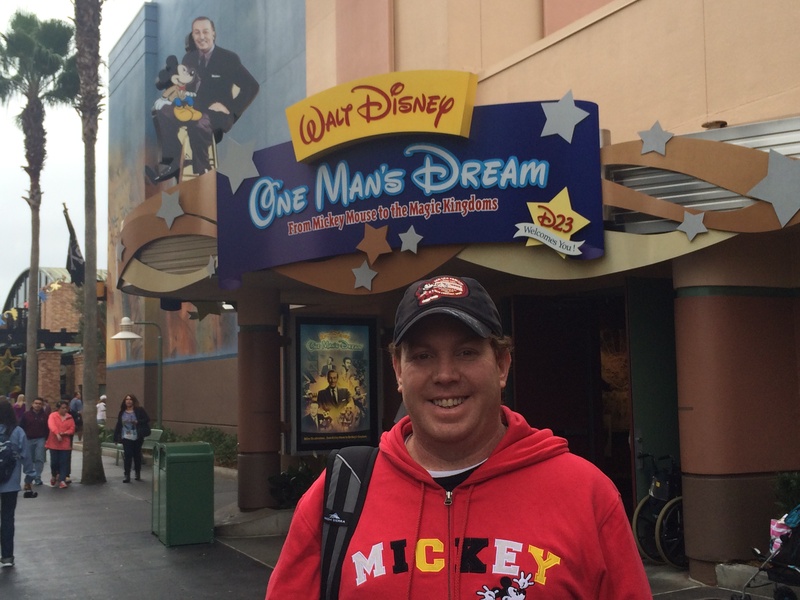 I also love having a Main Gate Pass to the Disney theme parks! So, with all that good, why would I say it’s been a roller coaster of a year? Brooke and I are still waiting to be a family of 3. The wait for someone to choose us to raise their child continues. Year 2 of waiting was much more difficult than year 1. While we keep getting told that an end will come, it’s still oh so hard to wait. More than anything, I hope this is the last year that ends without a child in our home. My training has been all over the place this year. I’ve had seasons where my motivation was extremely high and I strung together some fantastic training runs and workouts. There have been weeks where I didn’t run at all. There have been weeks where everything felt amazing while running. 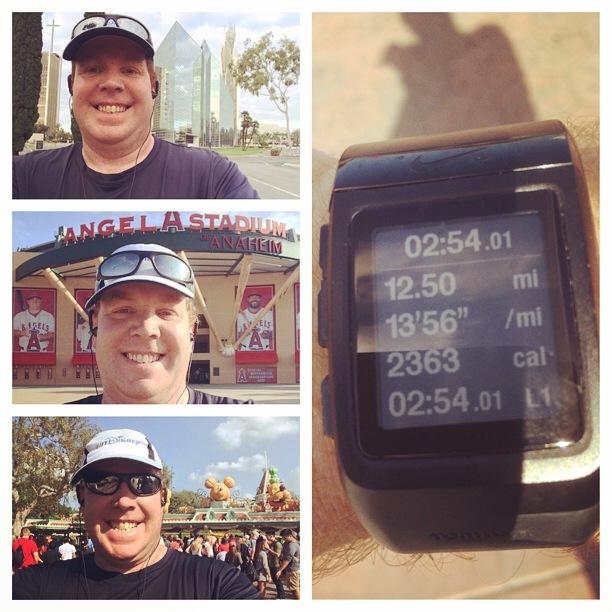 There have been weeks where I dealt with pain in my lower back, a twinge in my lower calf, and a really bad cold that put me out of commission the week before the Surf City USA Half Marathon. I’ve had days where I failed to reach my goal distance in training and days where I felt like could go on forever. I’m not running as fast as I was a year ago. Missed workouts add up and will cost you endurance and time. I believe that the failures in 2014 will lead to successes in 2015. What’s my dream for 2015? You’ll have to come back on New Year’s Day to find out. Thanks! It was a pretty good year! great year! I am going to go back and re-read your recaps for the marathon-I am so excited for Dopey so soon! I hope the recaps can provide you with a source of inspiration as you attempt Dopey. Good luck with that! I’m actually a little sad that I won’t be going out for Marathon Weekend. Have fun! You totally dominated 2014! Cant wait to see what 2015 runs you have in store! All the best in ’15! Hope to see you at Star Wars! If you see me around during Star Wars Weekend, please say hello. It’s always fun to meet the people who actually take the time to read my ramblings. Good luck to you in 2015 as well!